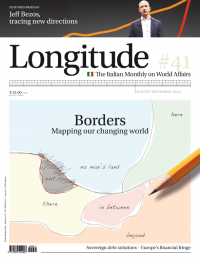 Another piece for Longitude, the Italian’s Ministry of Foreign Affairs magazine. Part of a special edition on borders it looks at China’s western land relations, building on the work I have been doing on this subject as part of the China in Central Asia project. It is done in conjunction with Sarah Lain, my new co-editor on the site and RUSI colleague. Related to Syria, I spoke to La Presse about Syrian Chechen leader Omar al Shishani and Newsweek about threats to aviation. While many are concerned with territorial disputes in Southeast Asia, the fact that China is quietly expanding its presence westward often goes unnoticed. Beijing has now become a huge player in Central Asia’s Great Game. And another piece, this time for The Diplomat, linked to Xi’s visit through Central Asia, this time focusing on the Shanghai Cooperation Organization (SCO) Summit now happening in Bishkek with my friend and co-author Li Lifan. I have also been doing various media bits around this trip, including an interview with RFE/RL among others. Presaging his stopover in Kyrgyzstan, President Xi Jinping delivered a speech in Kazakhstan in which he spoke of establishing a “Silk Road Economic Belt” that would bind China to its Eurasian neighborhood. A trip so far focused largely on Afghanistan and trade, the stopover in Bishkek for the Shanghai Cooperation Organization(SCO) summit is the capstone to what has been a successful trip, tidily wrapping the two subjects up in a bow largely of China’s making. Of course, there are numerous other topics on the table at the summit beyond Afghanistan. Expanding membership looks like it is going to remain unresolved again – India and Pakistan continue to knock loudly on the door. Iran’s new President Hassan Rouhani has announced he will attend, possibly highlighting the new regime’s diplomatic approach (although it is unclear what the SCO means within this context), and it seems likely that further agreements about closer cooperation and discussion are likely to be held. Beijing will undoubtedly push an economic agenda – though this will find hostility from the other member states fearful of dominance. The question over the SCO development bank will remain unresolved. Inevitably, Afghanistan will feature as a major topic of conversation. Just prior to the delegates meeting in Bishkek, units from SCO member states will have just completed a training exercise near Lake Issyk-Kul in the northeast of Kyrgyzstan. This comes after an earlier SCO flagged exercise, in which Chinese and Kyrgyz troops trained in their border areas, and a larger “Peace Mission” exercise involving Chinese and Russian formations. All of these training missions are described as being focused on countering terrorism: large-scale military activity that in fact seems more aimed at border protection and countering insurgent groups rather than urban terrorists. Useful skills if you are worried about overspill from Afghanistan. The reality, however, is that the Russian-led Collective Security Treaty Organization (CSTO) is still largely considered the main regional security player by most Central Asians, backed as it is by Russian guarantees and equipment. The Chinese-led SCO still plays a second fiddle to the Russian endeavor, though the SCO has spoken at length about counter-narcotics, countering the “Three Evils” of “extremism, separatism and terrorism,” and now has a Chinese head of its security structure in Tashkent – the unfortunately namedRATS center (Regional Anti-Terrorism Structure). The problem for the SCO is that it remains an organization lacking a clear sense of its role in the world. This is a problem that is fundamentally about the very divergent views among the member state capitals (all of whom have equal weighting within the institution’s decision-making processes), and in particular Beijing’s desire to create a positive umbrella under which to shelter its efforts in Central Asia, even as other members worry about Chinese dominance. The result is a half-baked multilateral vehicle that focuses on arcane discussions about membership with no conclusion, and holds military exercises aimed at unspecified enemies. On the one hand, this helps develop relations and bonds in a region rife with internal tensions, but on the other it fails to deliver much in the way of practical progress. The real progress during Xi’s trip has already been made. The SCO summit merely provides a tidy bookend. Raffaello Pantucci is a senior research fellow at the Royal United Services Institute and the co-editor ofChina in Central Asia. Li Lifan is secretary general of the Centre for SCO Studies at the Shanghai Academy of Social Sciences. Decision time for Central Asia: Russia or China? Slightly delayed posting of my latest piece, this time with my sometime co-author and friend Li Lifan looking again at China-Russia and Central Asia. This was part of a series that Ben edited at Open Democracy Russia which seems to have attracted some attention. As usual, a lot more on this topic coming soon as part of mine and Alex’s project on China in Central Asia. Vladimir Putin’s attempts to draw the countries of central Asia into his fledgling Eurasian Union creates a dilemma for some of them: if they take up his offer, they might lose their valuable trading links with China. Li Lifan and Raffaello Pantucci discuss their options. If one turns enough of a blind eye, it is easy to be optimistic about Central Asia. Wily diplomats from Kyrgyzstan and Tajikistan are masterfully playing off the great powers. Kazakhstan and Turkmenistan are turning into hubs in their own right – and nobody can tell plucky Uzbekistan what to do. This is nobody’s backyard, and attempts by neo-imperialists in Moscow, Washington and Beijing to play games in the region are only strengthening the hands of the Central Asian states themselves. This is a comforting picture – which is why Western policymakers love it – but it looks increasingly false as President Putin tightens the screws. The Russian president is said to dream of his third term being his ‘geopolitical presidency,’ where he will make up for the lost ground and lack of achievement in foreign affairs that he views as his main failing. The transformation of the fledgling Customs Union into the Eurasian Union of his dreams is the centrepiece of this strategy. Whilst Kazakhstan seems to have already decided that it wants to be a part of the Union (and its president, Nursultan Nazarbayev is credited for first raising the idea of a Customs Union back in 1995), for the Central Asian states of Kyrgyzstan and Tajikistan this is a potential turning point, forcing a decision on which partner they want to prioritize: China or Russia? Deciding whether to follow Putin into the Eurasian Union will be a decisive choice for both states in the year ahead, as it will force them to choose which they want to risk: the GDP they get from trade with China or the GDP generated from remittances from their nationals working in Russia. Putin has thrown down the gauntlet – they will now have to make up their minds whether their economic future is going to be closer to Moscow or Beijing. Their dichotomy is not quite as black and white as this, but this is nevertheless a power test. The choices they make will decide whether Russia or China has a stronger say in Central Asia. There is a simple reason why Putin’s union matters so much to Kyrgyzstan and Tajikistan: trade with China. Unlike energy rich Kazakhstan, already in the Customs Union, Bishkek and Dushanbe’s economies are dependent on business with Beijing. Kyrgyzstan’s ‘shuttle trade’ business with China, where small traders cross borders as ‘tourists’ with their goods in suitcases in order to avoid Customs duties, accounts for roughly a third of its GDP. On the other hand there is fear in Bishkek that if they do not deepen integration with Moscow then the millions of migrant workers it exports to Russia – whose remittances are also equivalent to a third of GDP – will be forced to carry international passports, or suffer far reduced quotas. The nightmare is that they will eventually end up barred from Moscow’s labour market by a full visa regime – something nationalist elements in Russia, including charismatic opposition leader Alexey Navalny, have been calling for. These fears are well grounded: in December 2012 Putin warned that within three years he wanted to end the post-Soviet practice of migrants from the CIS being able to come to Russia on their internal passports, effectively ID cards – but Customs Union members will be exempted from the new requirement for international passports. Polls conducted by the independent Levada Centreshow over 60% of Russians supporting tighter immigration controls. That free access to Russia can no longer be taken for granted is not lost on Kyrgyzstan. But at the same time the Kyrgyz elite fears that joining a Eurasian Union would mean effectively losing control over its border tariffs and regulations, and would destroy the rich network of new trade routes that are tying them into China, bringing them cheap goods and enabling a substantial re-export economy. These trade routes are economic lifelines for this fragile state – and for this network the Customs Union has all the potential to be a total disaster. As a former Kyrgyz cabinet minister put it to one of us in Bishkek last year, it would ‘decimate’ the country’s key markets in the south at Kara Suu and Osh. In his words, ‘almost every’ small business in Kyrgyzstan is reliant on trade with China and any new tariffs or rules would entirely change the local economy. This blunt response hides a complex reality. It is true that in the grand scheme of things, China’s trade with Kyrgyzstan is a drop in the ocean. The problem for China is that it is a drop that comes from one of the most troubled parts of one of its most restive provinces. China is not investing massively in its trade infrastructure with Central Asian countries for reasons of charity – but to stabilize its own restive Xinjiang Uygur province by turning it into a trade hub for this region. The Eurasian Union would have a potentially damaging effect on the substantial investment China has made on both sides of its border. The erection of a Russia controlled tariff barrier between China and Kyrgyzstan is likely to have a chilling effect on trade coming out of Kashgar, at a time when the Chinese government has invested a great deal into trying to develop the southern city. Capital of a part of Xinjiang that has faced heightened ethnic tensions for decades, the government has spent a lot of money re-developing the old city and establishing a Special Economic Zone with the aim of turning it into a hub for Central Asian trade. According to recent figures China invested some $91.91 billion into infrastructure in its ‘western provinces’ – an area that covers Tibet, Guizhou and Xinjiang. This is a focused strategy and Xinjiang sits in the middle of it. All of this will be threatened if suddenly traders no longer find it profitable to send their goods along the roads winding into the CIS from Kashgar. At the same time these traders’ choice of markets is surprisingly limited: without a route through Kyrgyzstan or Tajikistan they would have to travel through the Khunjerab Pass to Pakistan. The problem there is the roads on the Pakistani side remain woefully under-built. Their only other possible border crossing would be with Afghanistan, which remains firmly closed at time of writing. A losing game for small states? This used to be the sort of situation where Central Asians were in their element, masters of the game of playing one partner off against another. Kyrgyzstan in particular has cannily used access to its Manas airbase to extract large chunks of money from both America and Russia. This time it seems as though Moscow is playing a much harder game, forcing Bishkek into a decision that could ruin one aspect of its economy or another. How this plays out may end up determining the shape of the Kyrgyz economy. For all the talk about China in Central Asia, Putin is still able to compete with Beijing – and the choices made in Bishkek and Dushanbe will make it clearer whether Moscow is still the world power it dreams of being. 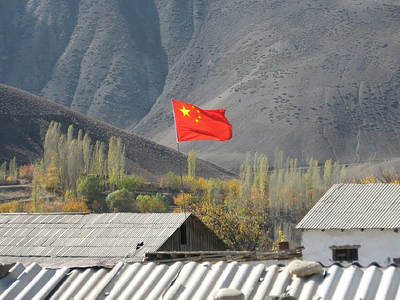 A kick-off to the new year with Alex on China-Central Asia with an overview for Jamestown Foundations’ China Brief. This is part of our ongoing project looking at China in Central Asia about which we have a number of large publications coming this year. In the last two years, China has emerged as the most consequential outside actor in Central Asia. As we have described in other writings, China’s ascension to this role has been largely inadvertent . It has more to do with the region’s contemporary circumstances and China’s overall economic momentum than a concerted effort emanating from the Zhongnanhai. The implications for United States and NATO policy are nevertheless profound. Not only have the geopolitics of Eurasia shifted in ways little understood in Washington and Brussels, but the socio-political and physical undergirding of the post-Soviet space from Aktobe to Kandahar is being transformed. Official Chinese policy in Central Asia is quiet and cautious, focused on developing the region as an economic partner with its western province Xinjiang whilst also looking beyond at what China characterizes as the “Eurasian Land Bridge…connecting east Asia and west Europe” (Xinhua, September 4, 2012). Chinese state-owned enterprises (SOEs) are active throughout the region on major infrastructure projects, but it is not clear how much they are being directed as part of some grand strategy as opposed to focusing on obvious profitable opportunities. The Shanghai Cooperation Organization (SCO), the main multilateral vehicle for Chinese regional efforts and reassuring engagement is a powerfully symbolic, but institutionally empty actor. Many smaller Chinese actors—ranging from shuttle traders to small-time entrepreneurs to schoolteachers and students posted to Confucius Institutes throughout the region—are the gradual vanguard of possible long-term Chinese investment and influence. China’s engagement in Afghanistan is growing as U.S. and Western involvement wanes. Whether Chinese companies and diplomats remain in the event of a surge in violence and country-wide destabilization is a question that will be answered post-2014. For the moment, however, Chinese SOEs Metallurgic Corporation of China (MCC) and Jiangxi Copper are invested heavily in one of the world’s biggest copper mines at Mes Aynak (just southeast of Kabul) while China’s energy giant China National Petroleum Corporation (CNPC) is pumping oil in Afghanistan’s northern Amu Darya Basin. Currently, the firm is trucking the oil across the border to refineries in Turkmenistan, although plans are in place to develop a refinery on the Afghan side of the border. Plans also are moving forward for the construction of another string of the Central Asia-China pipeline from Turkmenistan to Xinjiang to pass through northern Afghanistan (Xinhua, June 6, 2012). CNPC and its subsidiaries already have cut deals with local authorities to ensure security in their operating areas. Should Afghanistan once again be split between a Pashtun south and a Tajik and Uzbek north, Chinese companies may have the relationships to continue operations under the protection of a new Northern Alliance. It seems that plans for the natural gas pipeline include distribution to local communities in northern Afghanistan . Next door, at the source of the gas in Turkmenistan, CNPC and the Chinese government have carved out for themselves an envious position as one of the most influential outside players in Ashgabat, at least when talking in energy terms. The Central Asia-China pipeline, one of the most impressive feats in energy infrastructure construction, was completed in 18 months and now is slated to bring 60 billion cubic meters (bcm) of natural gas per year to China in the coming decades (Platts, August 31, 2011). These immense volumes—four times that planned for the Trans-Anatolian pipeline from the Caspian to Southeastern Europe—may require up to three different routes for the project’s separate strings. This route planned to traverse northern Afghanistan will offer an alternative to the more costly route through Uzbekistan and Kazakhstan . Turkmenistan’s main energy and foreign policy priority at the moment is the realization of the Turkmenistan–Afghanistan–Pakistan–India (TAPI) pipeline southeast across Afghanistan to markets in Pakistan and India. During the project’s recent international road show, CNPC and Sinopec reportedly expressed interest in the project, even if it was unclear in what capacity . For the sake of diversity, Turkmenistan’s leadership would almost certainly prefer non-Chinese companies investing in TAPI. During the Petrotech conference in New Delhi in October 2012, the acting Minister of Oil and Gas Industry and Mineral Resources Kakageldy Abdullaev made overtures to Indian firms to come and invest in Turkmenistan (Business Standard, November 27, 2012). Further downstream in Uzbekistan, the government started to pump its own gas down the pipeline traversing its territory in September. The move was part of a 2010 agreement signed between the two countries for Uzbekneftegas to send some 10 bcm per year to China (Platts, September 24, 2012). In historically energy-poor Tajikistan, CNPC partnered with Total to purchase a share each of Tethys find in Bokhtar, at the eastern end of the Amu Darya Basin (Bloomberg, December 21, 2012). In Kyrgyzstan, a Chinese firm also has agreed to build a refinery in the Chui Oblast whilst acting Kyrgyz Economy Minister Temir Sariyev reported “China is interested in the construction of Kazakhstan-Kyrgyzstan-China oil pipeline and a gas pipeline from Turkmenistan via the south of Kyrgyzstan” (Azer News, December 4, 2012; Central Asia Online, April 27, 2012). Beijing and Chinese companies have long cultivated a close partnership with Kazakhstan as a regional power and source of valuable resources (“Sino-Kazakh Ties on a Roll,” China Brief, January 18). While Western companies suffer in their attempts to bring offshore projects online in Kazakhstan’s Caspian waters, China steadily has become the largest outside energy investor onshore. China’s sovereign wealth fund China Investment Corporation (CIC) is set to buy into Kazakhoil Aktobe, Kazakhturkmunai and Mangistau Investments—a deal which according to some estimates will give Chinese companies control over 40 percent of Kazakhstan’s oil production (TengriNews, January 8). The Kazakhstan-China oil pipeline—completed in a number of stages throughout the last decade—is slated to operate at its full capacity of 20 million tons per year (tpy) by 2014 (EnergyGlobal, November 9, 2012). Nevertheless, this rosy picture has another side. According to analysts spoken to in Astana, the fields to which China has access are older ones that have been exploited for years. Furthermore, local Kazakhs with whom the authors spoke do not have particularly positive perspectives on their Chinese employers. At a grander scale, the slow progress with the Kazakh side of the free trade zone at Khorgos on the border between the two countries just northeast of Almaty is further evidence of these tensions. Analysts and officials asked either side of the border have vague responses about delays with the site. Currently, the Chinese side teams with new markets, corporate offices, hotels and customs buildings, but the Kazakhstani side still has some way to go in bringing its infrastructure on par with its neighbor . Khorgos is the crossing point from China into Central Asia for three developments: a Central Asia-China pipeline from Turkmenistan; a new highway that is under construction linking Almaty, Astana, the Caspian shore and Russia; and a second train connection between China and Kazakhstan that opened last month (Xinhua, December 22, 2012). A key component of China’s so-called “New Eurasian Land Bridge,” the Khorgos passage is one of the main arteries in the chain connecting China’s eastern coast with Western Europe through Russia and the Black Sea-Caspian region. These difficulties are even more evident in Kyrgyzstan where there have been a spate of clashes between locals and Chinese workers. In October, reports emerged from a gold mine managed by the Zijin Mining group in Taldy-Bulak that locals had threatened to burn down a company office after the company allegedly was killed a local horse (RIA Novosti, October 22, 2012). Then, in January, a fracas broke out between Chinese and local workers after Chinese workers allegedly caught a local stealing. In the ensuing clash some 100 people were involved and 18 Chinese workers were injured, two seriously (Xinhua, January 11). Whilst Kyrgyzstan is a notoriously difficult environment for foreign investors with many other nation’s countries also experiencing problems, China seemed to respond with particular attention this time around. In response to the first incident, the head of the Chinese Chamber of Commerce in Kyrgzystan, Li Deming, wrote an op-ed stating “Kyrgyzstan still a mine field for investors” (Global Times, October 28, 2012). In December, during an SCO Prime Ministers’ Meeting in Bishkek, Premier Wen Jiabao met with his counterpart and reinforced this message encouraging “Chinese enterprises to expand investment in Kyrgyzstan” (Xinhua, December 4, 2012). A much larger, potentially strategic, threat to Chinese investments in Central Asia, however, lies in Russian President Vladimir Putin’s proposed Eurasian Union. Most recently announced in October 2011, when President Putin laid out his plan in an article in the Izvestia newspaper, the notion has its roots in the Customs Union that was first proposed in the 1990s by President Nazarbayev of Kazakhstan. While slow to accept the idea, President Putin now has embraced the idea wholeheartedly to create a regional organization that would coordinate “economic and currency policy” between the countries of the former Soviet Union (Reuters, October 3, 2011). Currently, the Union is made up of Kazakhstan, Belarus and Russia, but, in Central Asia, both Tajikistan and Kyrgyzstan have expressed an interest in joining. What is not entirely clear is whether this is something that is taking place as a result of Russian pressure or whether this is a choice. In his annual statement to the Duma in December 2012, President Putin spoke of tightening requirements for the citizens of the Commonwealth of Independent States (CIS) to enter Russia with passports rather than simply ID cards as is the case at the moment. He left open the caveat, however, that free access would continue to be allowed for citizens of countries members of the Union (RIA Novosti, December 12, 2012). The potential implication to remittance-reliant Kyrgyzstan or Tajikistan is clear, creating an instant obstacle for the masses of young men from those countries who work in Moscow to send money back home to their families. The issue for China is what impact this will have on China’s trade relationship with these countries. In particular, Kyrgyzstan is one of the key routes for Chinese goods into the region and for onward re-export—Ambassador Wang Kaiwen, China’s man in Bishkek, places the figure at $5 billion per annum. In commenting, Ambassador Wang also placed Kyrgyzstan’s trade with China in a broader context. As he put it, “trade between China and Kyrgyzstan is $5 billion, and China’s foreign trade is $3 trillion…so this [joining the union] is not a big problem” (Knews.kg, November 30, 2012). The point is that this is a relatively limited problem for China, but the repercussions in Bishkek are uncertain and potentially more substantial. In many ways, this uncertainty places China’s 2013 in Central Asia in its appropriate context. It is increasingly clear that China is the most consequential regional actor that is making all the right moves to consolidate its interests. The regional impact and the reactions of both the Central Asian states and Russia to this growing preponderance remain to be seen. For Beijing, the relationship is an important one if they are to effectively develop Xinjiang, but their growing perceived dominance is something that is met with ambivalence regionally where nations like China’s money, but worry about its dominance. The dragon has clearly risen in Central Asia, but how the region will decide to respond still remains unclear. A new piece for 东方早报 (Oriental Morning Post) the Chinese paper I occasionally write for, this time focused on difficulties that corporate China has encountered recently in Central Asia. As usual, the Chinese is on top, with what I submitted in English below. Last month news came out of Kyrgyzstan that a local dispute at a Chinese owned gold mine had escalated to the point that staff had to be evacuated and operations shut down. This is not the first time that Chinese companies have had trouble in Kyrgyzstan. It is not in fact the first time that Chinese companies have had trouble in Central Asia more generally. Doubtless this is a problem that is considered far down the list of priorities for the new leadership in Zhongnanhai, but it has the potential to have a direct impact on China domestically. Unless Chinese companies get Central Asia right, it is going to be very difficult for the May 2010 work plan to develop Xinjiang to be effectively implemented. In September this year at the second international China Eurasian Expo in Urumqi, Premier Wen Jiabao highlighted the important link that Xinjiang is between China and Eurasia. In particular he highlighted how ‘Xinjiang’s reform, opening-up and development will not only benefit people of all ethnic groups in Xinjiang, but also bring more development opportunities to Eurasian countries.’ Saying this at the Expo before senior leaders from Afghanistan, Kazakhstan, Kyrgyzstan and Tajikistan highlighted the importance of these relationships in developing Xinjiang. Far from major sealanes and modern trading routes, it has always been obvious that the solution to developing Xinjiang lies in developing its links with the countries it borders. Opening up these links is something that will further help strengthen China’s connections with Europe, opening up roadways to directly link Chinese producers with European markets. And the government has actively encouraged this. Using money from Export-Import Bank loans and deploying state owned firms it has built roads and is building rail infrastructure both in Xinjiang and Central Asia. It has further encouraged state owned companies to invest in the area, taking advantage of the rich natural resources that can be found. And the groundwork laid by state owned firms has been built on by Xinjiang companies and traders seeking new markets that have now been opened up to them. In my travels across the region, I found Chinese traders, goods and workers – many of them with strong connections back to Xinjiang, highlighting how they were helping expand Xinjiang’s economy. But now this growth is increasingly encountering difficulties. The recent trouble in Kyrgyzstan is not the first of its kind, and in the past Chinese companies have had other problems regionally. Partially this is because Central Asia is a difficult environment to work in, but there is also a problem of local perceptions. In talking to locals in Kazakhstan, Kyrgyzstan and Tajikistan I was endlessly surprised by the negative reactions and beliefs they would have towards Chinese companies. People would tell me stories about how Chinese workers were stealing jobs, women and eating all the animals in sight. More seriously, they would tell me how Chinese firms underpay or pay late, offer bad jobs to locals and treat staff badly. Whether true or not, the general perception is that Chinese firms are in Central Asia to simply take raw materials and commodities back to China, while they flood the markets with low quality products. The picture that results is a negative one that leads to difficulties like those currently being experienced in Kyrgyzstan. Admittedly, I was told by locals that most foreign firms encounter similar issues in Kyrgyzstan, but the difference is that these other companies are not playing a role in directly helping a part of their home nations develop. This is the key difference for Chinese firms in Central Asia versus European ones: for the European ones it is merely another distant market, for Chinese ones, it is a market next door that is important to develop if the policy to develop Xinjiang is to be achieved. This is also why this story is something that is important for policymakers in Beijing. Unless something is done to improve China’s image in Central Asia, then the overall strategy of developing Xinjiang’s links with its border regions will be undermined. What is needed is a clearer strategic approach to China’s engagement with Central Asia. China cannot solely rely on Shanghai Cooperation Organization (SCO) Summits and a slow economic policy that spreads out from Xinjiang. This approach is already causing some friction on the ground and this will only get worse. If China wants to establish a cooperative economic relationship with its Central Asian neighbours, then some efforts need to be made into establishing how to help these economies develop and not simply focus on extracting national benefit from them. This is not an easy path to take, and Beijing’s new policymakers have an already crowded plate. But unless some effort is taken to forge an actual policy towards Central Asia, China will find its regional development strategy with Xinjiang falling down too. And this would be something that would have a hugely negative effect on any grander strategy to develop the country and help it move beyond the growing economic stagnation. A longer article in the latest The National Interest journal, this one alongside Alex as part of our ongoing China in Central Asia project. Whilst the whole article is available on their site, they have asked that I only post the first few paragraphs here for the time being with the rest up later here. The article is the first that captures comprehensively the ‘inadvertent empire’ thesis that is going to be a big focus of this project. A Chinese road crew works in Tajikistan. PRESIDENT OBAMA’S late 2011 announcement of his administration’s pivot to Asia marked a sea change in America’s geopolitical posture away from Europe and the Middle East to Asia and the Pacific Rim. Reflecting the growing strategic repercussions of China’s rise, the move presages a new era of great-power politics as the United States and China compete in Pacific waters. But is the United States looking in the right place? For most of its unified history, China has been an economically focused land power. In geopolitical terms today, China’s rise is manifest particularly on land in Eurasia, far from the might of the U.S. Pacific Fleet and Washington’s rimland allies—and far also from the influence of other Asian powers such as India. Thus, Western policy makers should be dusting off the old works of Sir Halford Mackinder, who argued that Central Asia is the most pivotal geographic zone on the planet, rather than those of Alfred Thayer Mahan, the great U.S. strategist of sea power. Greater attention needs to be paid to China’s growing presence in Central Asia if the United States is to understand properly China’s geopolitical and strategic rise. Another post for the site I manage as part of my China and Central Asia work, this time looking at my experiences visiting the Irkeshtam Pass between China and Kyrgyzstan. A fascinating trip, with some of the pictures courtesy of the lovely Sue Anne Tay. The red arrow and circle indicate the Irkeshtam border pass. Picture from here. In what can only be described as a cosmic coincidence or evidence of some deeper significant trend that I can only guess at, on either sides of the Irkeshtam Pass between China and Kyrgyzstan we found Japanese backpackers. The surprising part was that our visits to each side of the border took place some five months apart from each other. Ardent Japanese travellers aside, there were few other obvious similarities on the two sides of the border. 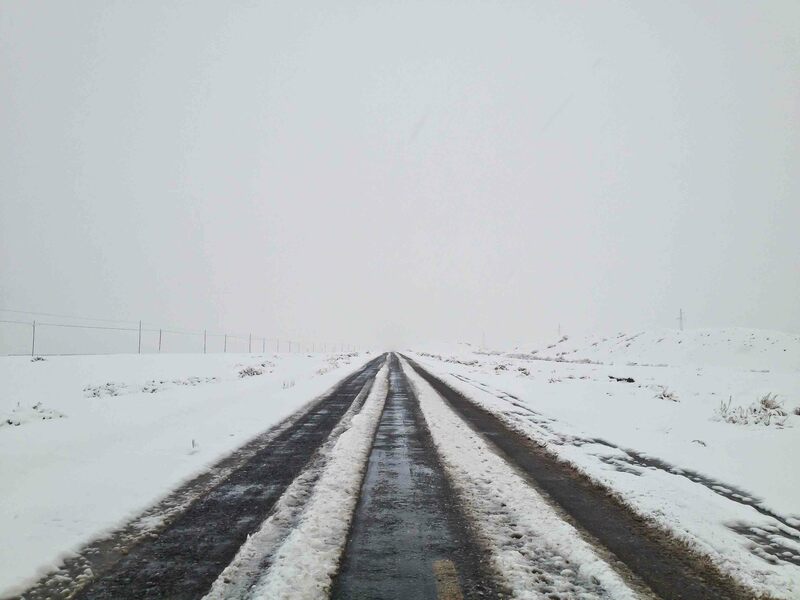 In fact, what differences there were seemed to be weighted in favour of the Kyrgyz side, where the road was in better shape than its Chinese counterpart. Leaving one morning from Osh with a driver a local Chinese teacher had helped us source, our trip to Irkeshtam on the Kyrgyz side was a relatively painless one. The road was for the most part tarmacked and aside from a bumpy part in the mountains, in good condition. Funded in part by the Asian Development Bank, the Islamic Development Bank and the Chinese government, the China Bridge and Road Corporation (CBRC) had built most of the road (often as subcontractor to the international projects) – a Chinese state owned enterprise whose management office we came across as we zoomed along on the Kyrgyz side. Wandering into the compound we found a few Chinese engineers who said that the project was due to finish in spring 2012. They worked from April to October of each year when weather conditions were bearable. An hour or so down the road, we came across their colleagues, Chinese men huddled in in heavy green military coats directing large trucks of granite as they worked to asphalt the road. As with many borders in the region, there is a gap between the actual border and where they check passports before you get to the line of demarcation. On the Kyrgyz side, a small camouflage painted mobile home sat by the side of the road with a simple metal barrier across the road itself. The young Kyrgyz guard manning the barrier waved vigorously at us as we tried to take pictures, though he seemed a lot less threatening once we noticed that his AK-47 did not have ammunition clip. The border itself was a dusty parking lot with giant shipping trucks with Customs (海关) emblazoned on the sides edging around each other. A lone donkey wandered through the chaos as various truckers and other loafers used facilities, shopped at the mini-mud buildings selling food, cigarettes and other provisions or had meals at the rudimentary restaurants. One Uighur-Chinese driver (who had in fact helped ferry hapless Japanese backpacker Takeshi through the pass) told us eagerly that he was on his way to Uzbekistan with a truckload of ‘stuff’ – when asked to specify he said various electronica and low-end Chinese products. He was more interested to hear about Shanghai and the business prospects there. In contrast, the Chinese side of the border was visibly policed with more solid structures at the actual border post – a big white tiled building and men in warm uniforms guiding the truck traffic. Present in early spring (we did the trip to Kyrgyz side in October, the Chinese side in April), there was still snow on the ground and written into it in the mountain above the post was the phrase 中国民爱 (roughly translated as China loves its people). Unlike the dusty Kyrgyz side, the Chinese side was a small village of concrete buildings with a police station, Sinopec office, restaurants, hotels and grocery stores. On the road before the encampment was an odd building with a giant football on top of it. Behind it was a walled area with cameras on top that our driver informed us was some sort of military installation. While the border itself was relatively developed, there was a dramatic contrast in the state of the roads up to it on the Chinese side. Whilst likely done by the same company as that on the Kyrgyz side, the road on the Chinese side was a potholed mess and for a substantial period we were drudging through dirt and knee-deep snow. Our driver steadily became more exasperated, chain-smoking his way through two packs of cigarettes as we battled on and his carefully cleaned car turned into a mud coloured mess with a broken bumper. Ploughing through a blizzard we saw large trucks abandoned by the side of the road, battered by the treacherous road conditions. We had been warned the ride would be difficult, though given the excellent state of the Karakoram Highway and most infrastructure in China, we figured this could not be that bad. We were wrong: it was a bumpy ride from almost the moment we left Kashgar. The reason for this rather surprising inversion in road quality is that the road to the border on the Chinese side is in the process of being re-built, due to be finished by 2013. Something visible along the way as we saw teams digging holes and moving large pieces of concrete around to support the road. A city is being built along the way at a previously minute village called Ulugqat that currently serves as an entertainment spot for the customs officers and workers on the road and at the border – but is mostly a muddy mess with giant construction going on everywhere. The customs post before the border ‘dead-zone’ on the Chinese side was a more substantial creation, with a small soldiers’ cabin across the road from a much larger official customs building with Chinese flags and logos all over it. In contrast to their Kyrgyz counterparts, these soldiers had ammunition clips in their guns as well as new uniforms that contrasted our increasingly bedraggled appearance. Unlike its northern counterpart the Torugut Pass, Irshketam is open most of the year. One of the key crossing points for China into Central Asia, it provides a route for Chinese products to get to Kyrgyz markets as well as travel up into Russia, across into Uzbekistan and beyond both to Europe and Iran. Much of the material brought across the border ends up in Kyrgyzstan’s crowded Osh or Kara-Suu bazaars, an arrangement in danger of being destroyed if the Kyrgyz elect to join Putin’s Eurasian Union and a subsequent tariff barrier is erected between the Kyrgyz and Chinese economies. When we put this to officials in Kyrgyzstan they told us it was potentially devastating. Chinese we asked seemed less concerned. Partially because the market loss would be negligible in terms of China’s overall trade volumes, but also since they believe that the entire Eurasian Union project is unlikely to amount to much. As a Chinese academic put it to us, the Eurasian Union will clash with Kyrgyzstan’s WTO membership and the expectation is that the Kyrgyz would rather be part of the global economy than be a pawn in Russia’s expansionist agenda. This outlook was supported by evidence on the ground where China is clearly making investments in turning this road into a major artery for its Central Asian trade. Another ribbon in the latticework that is the New Eurasian Landbridge.